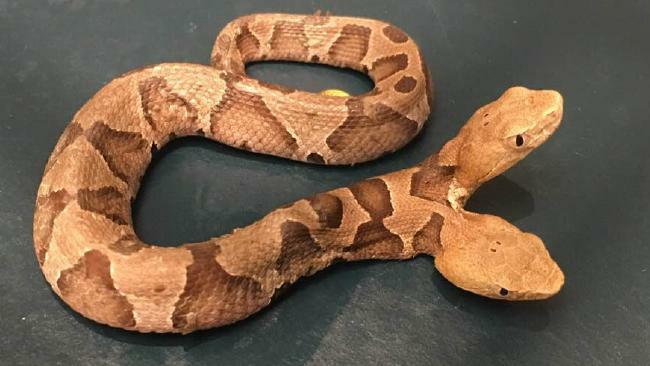 The rare two-headed snake was found in Woodbridge, Virginia in a flowerbed. Picture: JD Kleopfer Facebook. 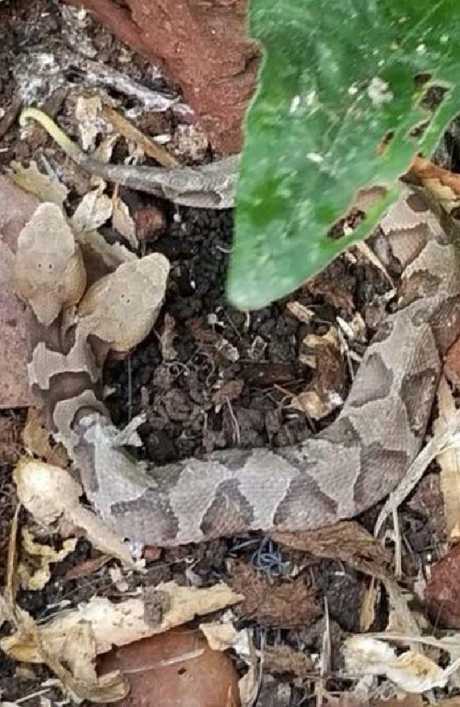 A RARE two-headed snake has been discovered in the flowerbed of a backyard. 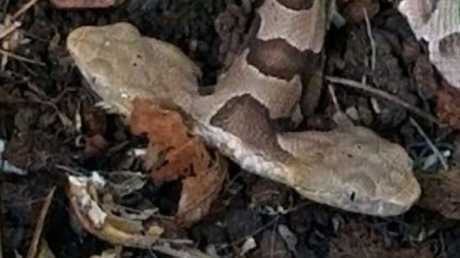 The rare find has been identified as a copperhead snake. In a Facebook post, herpetologist John D Kleopfer noted "Wild bicephalic snakes are exceptionally rare". 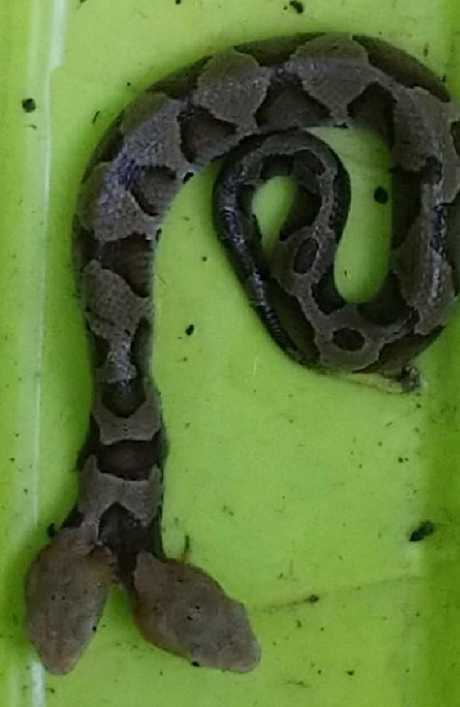 A woman named Stephanie posted an initial photo of the reptile on Virginia Wildlife Management and Control's Facebook page asking: "What are the odds to find a two headed snake???" According to USA Today, the snake was found in Stephanie's neighbour's garden. From there, the snake was able to be evaluated by experts. Mr Kleopfer explained that due to "too many challenges living day to day with two heads", two headed snakes don't live too long. Explaining in a Facebook Post, Mr Kleopfer said the left head had the "dominate oesophagus and the right head has the more developed throat for eating". Copperheads grow about 18-36 inches long, while this bicephalic snake is only young and about 6 inches, Mr Kleopfer told USA Today. Mr Kleopfer also said the snake isn't a danger to anyone; vipers tend to attack insects and Copperheads aren't known for being aggressive. According Mr Kleopfer, the snake will possibly be donated to a zoological facility, "with a little luck and care", he said. National Geographic explained snakes like this one are not unlike Siamese twins. "The point at which the embryo stops separating varies. Just as Siamese twins can be joined at the head, breast, or hip, so too can snakes be joined at varying places on their bodies." One person asked on the Virginia Wildlife Management and Control Facebook post, "which head makes the attack?" to which the control company replied: "Both".